A recent study of oncologists’ use of next-generation sequencing (NGS) to test for actionable genetic mutations reveals a stark gap between the appropriateness and the actual utilization of these tests. 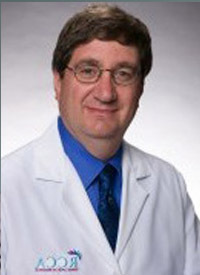 That situation can be expected to change dramatically in the year ahead, owing in part to growing recognition of the value of NGS in guiding the use of precision medicine, according to Stuart Goldberg, MD, chief scientific officer of Cota, who spoke with OncologyLive® about how clinical practice is expected to catch up with scientific advances in 2018. The results of a study of genomic profiling of patients with advanced non–small cell lung cancer (NSCLC) in 15 community practice settings in New Jersey and Maryland revealed significant underuse of genomic testing (TABLE).1 The patients underwent treatment from January 2013 to December 2015, and although national guidelines call for routine testing for EGFR and ALK mutations for these patients (N = 814), only two-thirds underwent testing for both aberrations. Among those who were not tested for these biomarkers, 52% received chemotherapy without documented reasons for not testing. Potential barriers to testing included lack of sufficient biospecimens, failure to integrate biomarker testing into routine pathology workflow, slow lab turnaround times, and uncertainty of payment. The report also found a correlation between patient survival rates and failure to conduct NGS testing. For the 131 patients who received a targeted therapy during their treatment, the median overall survival (OS) was 31.8 months. In contrast, 482 patients received cytotoxic chemotherapy, and their median OS was 12.7 months. For 17 patients with EGFR or ALK mutations who did not receive targeted therapy but instead received chemotherapy, OS was 15.5 months, investigators reported. Goldberg, who is one of the report’s authors, said the evaluation of the 89 physicians’ testing habits showed that two-thirds of the time, patients underwent immunohistochemistry or fluorescence in situ hybridization tests, possibly because these simple tests could readily be performed in the lab. For the more comprehensive tests, such as the FoundationOne CDx (F1CDx) test for 324 genes and 2 genomic signatures, the utilization rate fell to under 20%. Cota, based in New York, New York, catalogs and analyzes patient medical data to find value in healthcare. The study was supported by Guardant Health of Redwood City, California, a manufacturer of liquid biopsy tests using NGS. The company also is working with Foundation Medicine of Cambridge, Massachusetts, on a clinical study to measure changes in survival benefit and cost savings among patients with untreated metastatic NSCLC who undergo comprehensive genomic profiling with F1CDx. Goldberg said the results of the New Jersey– Maryland study suggest that physicians were willing to test for suspected genetic alterations for which FDA-approved drugs were available, but less likely to test for a broader slate of mutations recommended by the National Comprehensive Cancer Network. The panel recommends testing for EGFR, ALK, BRAF, ERBB2 (HER2), MET, RET, and ROS1. Just 8% of patients in the 814-patient cohort were tested for those mutations. The report stated, “Despite the guidelines specifically recommending testing without regard to the clinical characteristics, the physicians appeared to withhold testing for active tobacco users. Smokers as a group have a lower frequency of EGFR and ALK genomic alterations, but BRAF and MET mutations occur more frequently in smokers.” A broader application of NGS testing “may have identified targets that were amenable to experimental drugs,” Goldberg said.